Stevens, the first of his family to go to college, attends Columbus State College and defies the stereotype of millennials, often perceived as entitled with a lack of work ethic. But he also admits his generation suffers from a lack of guidance. “I think sometimes (younger people) have a lack of work ethic because they don’t have that good coach like Chick-fil-A provides,” he says. Managers, he says, would do well to act as mentors to young hires, helping them learn the ropes of the working world -- one of the many points he touches on in his new book, which serves as a guide to better business. The first impression unfortunately is sometimes the last impression prospective employers have when considering an applicant for a job, Stevens explains, adding that it’s crucial to look the part. That’s how he figures he wowed Karen Bolumen, the restaurant operator who interviewed him at Chick-fil-A Market at East Broad in Columbus, Ohio. Bolumen accepted Stevens’ application that weekend and told him to follow up on Wednesday if he hadn’t heard back by then. Stevens landed the position and hit the ground running, doing whatever it took to get the job done. That’s one of the reasons he stands out among his age group, Bolumen says. Not surprising to those who know him, Chick-fil-A team member and author are not the only credentials on his resume. The release of his book led to another career opportunity at Root Inc., an Ohio-based strategy execution consulting company, where he works on the organization’s “Customers for Life” team. Bolumen says the company is a great fit for Stevens because, “he’d love to be in an office talking about customer service,” adding that Stevens is a good example for his age group and proof that anything, even a temporary job at a Chick-fil-A restaurant, can unlock a career. Stevens thrives on human connection – something he says he shares with others in his age group- and a notion that is somewhat at odds with the stereotype that millennials crave screen time over face time. He says while many major corporations focus on online training over experiential training, the trend is misguided. “Our generation doesn’t learn that way, because we’re a hands-on generation,” he says. But Stevens says millennials have a thing or two to learn as well, including taking pride in their work, no matter what the reward. Though some college students might think of work in the restaurant industry as a stopgap between the collegiate years and post-grad life, Stevens says nurturing a healthy work ethic starts from day one. “You have to start building your work ethic by taking pride and cleaning that restroom at a local restaurant because that’s how you build yourself up to get to that college degree level where you’re ready for the next step in your career,” he says. 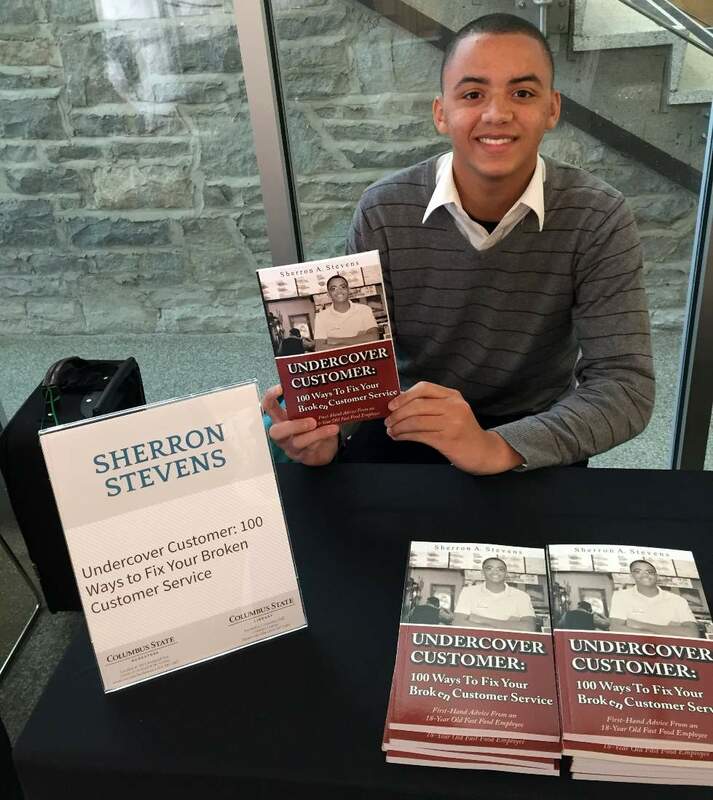 Born to a 19-year-old single mother, Stevens’ work ethic started at home. To read more of Steven's tips or to preview his book, click here.